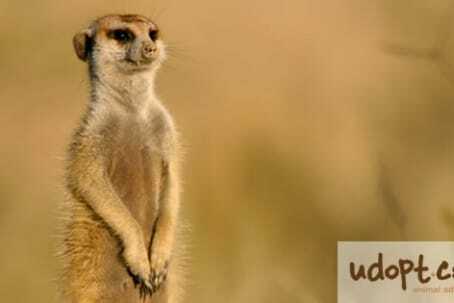 Meerkats are mischievous little creatures that literally hang out in ‘gangs’! They are always alert and on the lookout for predators, and are really fast runners when they need to be. They have binocular vision and live up to 14 years of age. We love meerkats!! 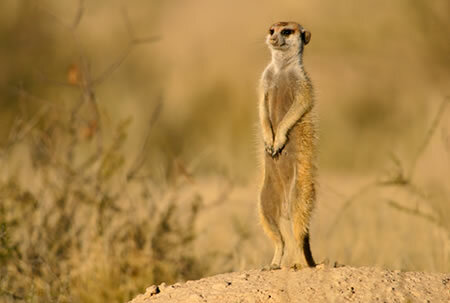 Meerkats are one of the most loved animals on the planet, and more action is needed to ensure their ongoing survival. I’m a meerkat, pleased to meet you! 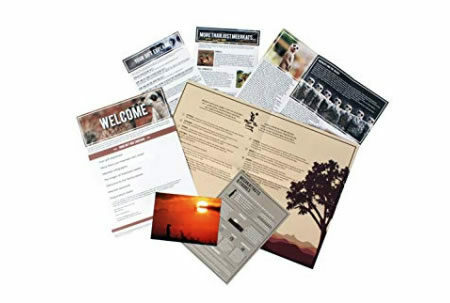 I live in South Africa and although I have a face like a Lemur I only have four toes! You’ve probably seen my friends on television, they are celebrities now living the high life. I love to spend time with my family and friends, and am famous for spending a lot of time standing on my hind legs looking out for trouble. Unfortunately, trouble seems to have found me, so if you would like to adopt me today you can help ensure there are lots of meerkats just like me on the planet for years to come. 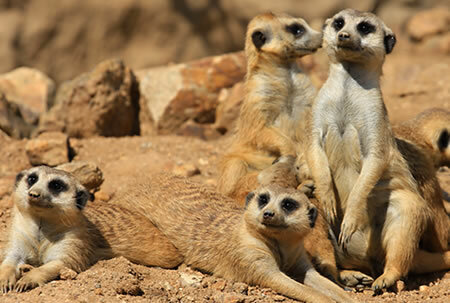 Meerkats stand guard over their family whilst they eat to ensure no predators are around. Meerkats can open and close their ears to ensure that sand doesn’t fly into them! They can run up to an amazing 37 miles per hour. 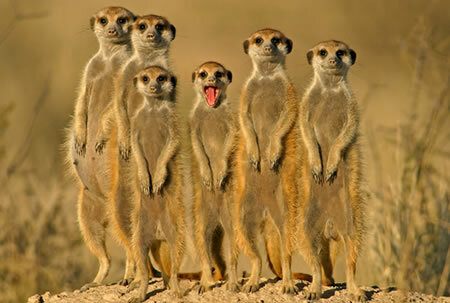 A group of meerkats is known as a ‘Mob’ or ‘Gang’.